When will this stop? 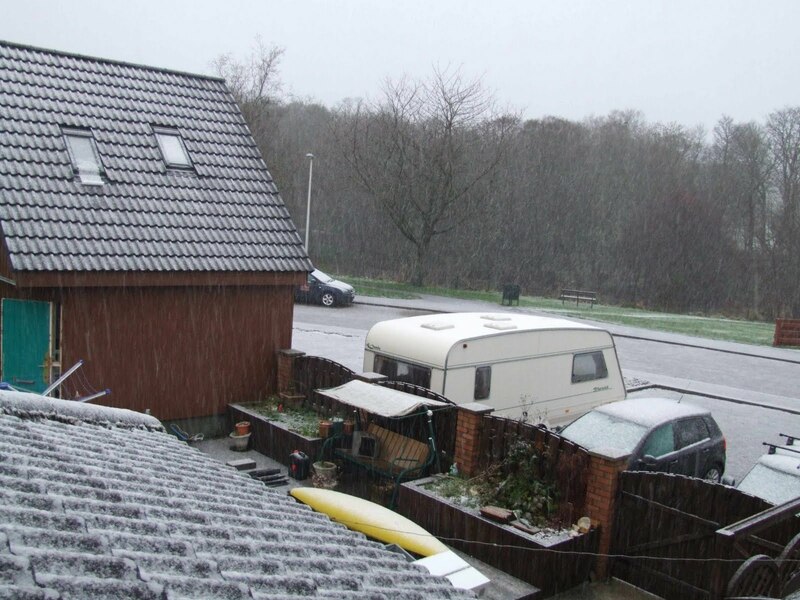 It is now one week since the first snow fell in Kemnay! In that time it has snowed continuiously and it has been a constant job to keep the roads and paths clear! I have been keeping track of the snow depth and this morning we had 20″ or approximately .5 Meter! This is definitely unprecendented and it would seem that there is more to come!!! The virew from my study window remains much the same except that the view if becoming more restricted due to the build up of snow on our conservatory rood which is right in front of my window! children as of course having a great time since Schools have been completely closed down for the last few days! more photos are published at the following locations. First real snow 2010 Winter is here!!!! Today I awoke to look out of the window to see that there was a light coverning of snow. This was forcast so this was not a surprise 😉 However, it seems that this signals the start of winter. Last year, first snow came around the middle of December last year and then it lasted for some months! Last years snow arrival coincided with the start of my garage building project – which was unfortunate. You can see some of those conditions by looking back in my blog posts for the period December 2009 – March 2010. click here to see some photos of last years snow! Author adminPosted on 24/11/2010 Categories First Snow Winter 2010Leave a comment on First real snow 2010 Winter is here!!! !